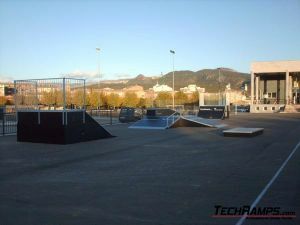 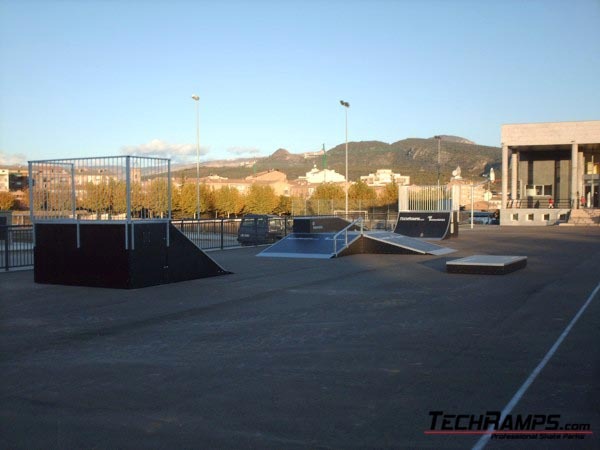 Skatepark in Tremp - Skateparks - Bau und Entwerfen von Skateanlagen. Professionelle Skateanlage Techramps. 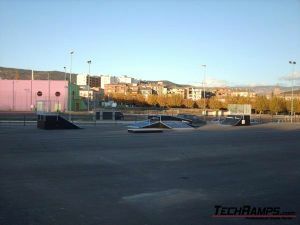 Address: Calle de la E (next to the football stadium). 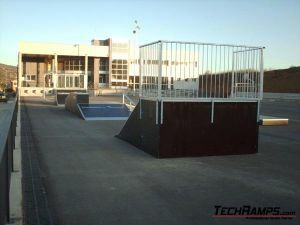 Elements of skatepark: Bank Ramp, Quarter Pipe, Funbox with grindbox and rail, Grindbox.